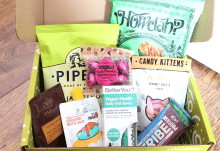 Anyway, I was sent a Premium box, and it was absolutely stuffed full. Not only was it too big to fit into my mini studio (which is why my floor and credenza are the backdrop), but it was so efficiently packed that once I emptied it I couldn’t fit everything back inside. So here is the box. It’s of a size and weight, partly because it contains a drink bottle. Nice sturdy box, absolutely no damage at all. 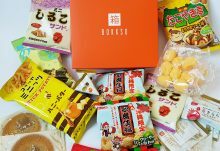 Also, as you can see this month’s theme is Sakura (cherry blossom) and Matcha, and many of the snacks inside are flavoured with those things. 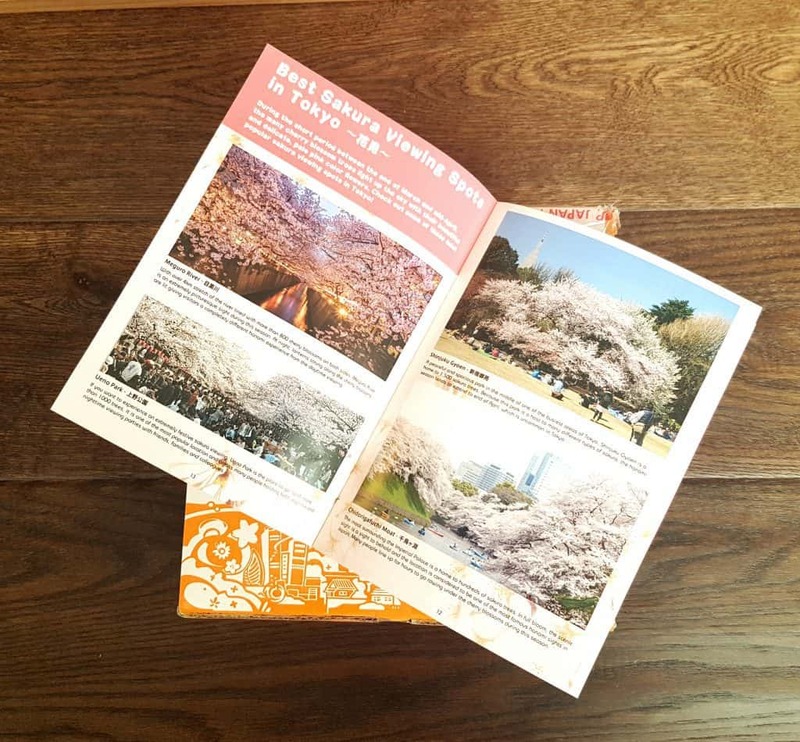 On top, one of the wonderful magazine-menus that the TokyoTreat group are so good at producing. 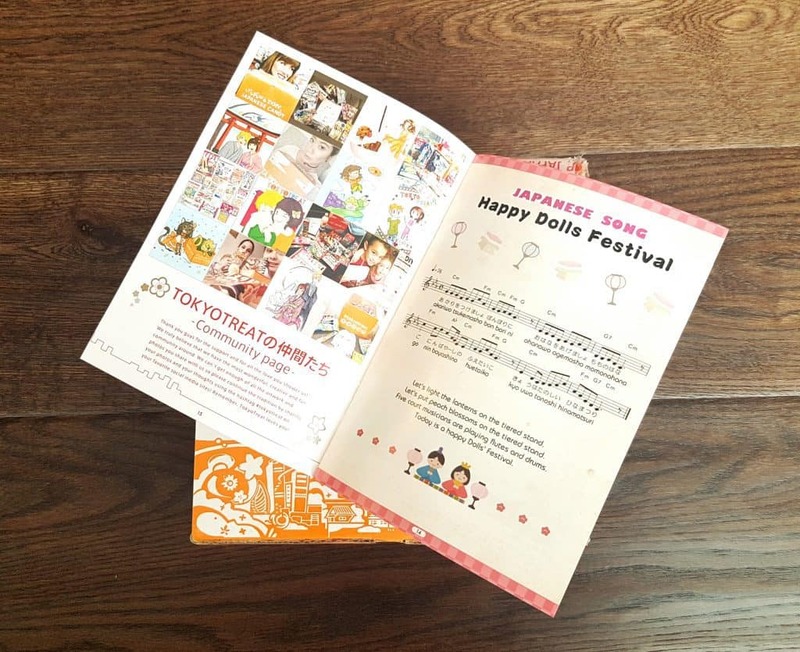 Not only does it list every item in the box, plus details, it included directions for the DIY kit, some information about Sakura and the Happy Dolls Festival, plus a song sheet. I’m including several pictures of the magazine because it’s so impressive. As far as I can tell these are basically Hula-Hoops (the crisps kind, not the big plastic toy). TokyoTreat is also running a little competition where you take pictures of yourself wearing the rings and tag them on social media. And of course anyone who has eaten Hula-Hoops knows that you always put them on your fingers. This was the other biggest and lightest item. 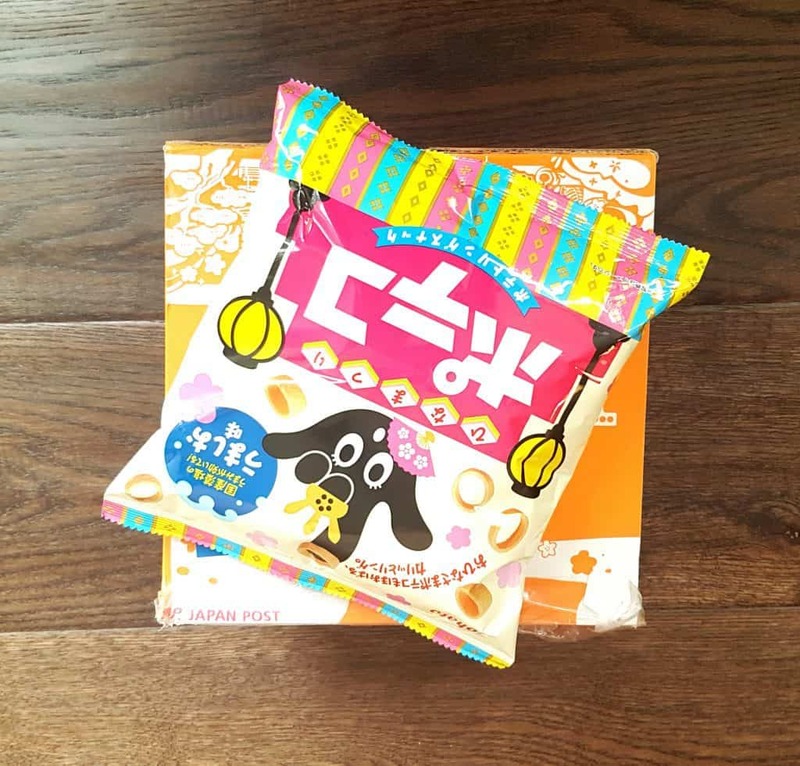 Japanese Caramel Corn is not like popcorn; rather it’s kind of a sweet crunchy snack a bit like a knobbly Wotsit. This particular version is a limited edition peach flavour with extra cute packaging. Though I’ve seen the regular package design and it’s still pretty cute! 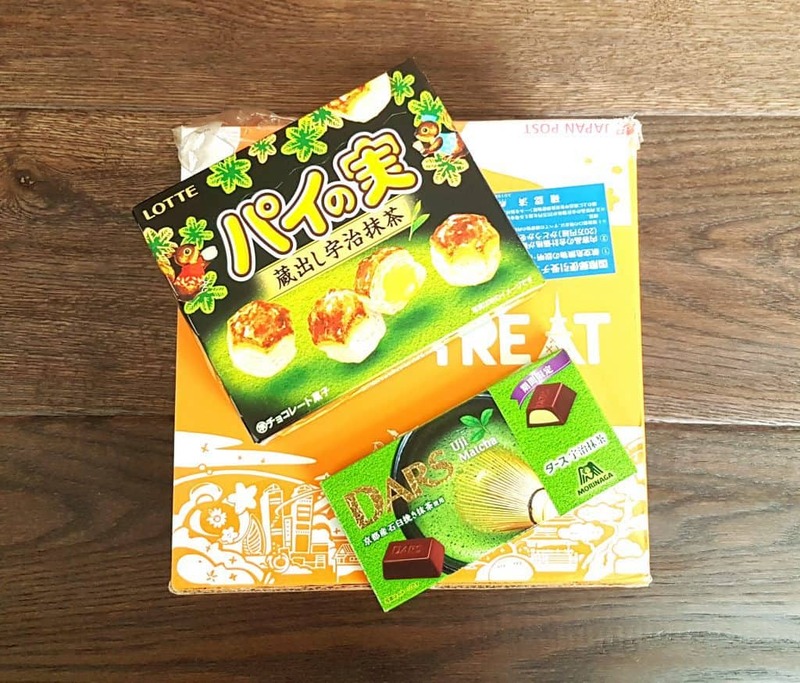 Two of the Matcha-flavoured snacks. The top one is like a tiny sausage roll but with chocolate, or in this case matcha-flavoured filling inside the pastry. Greggs has nothing on this. 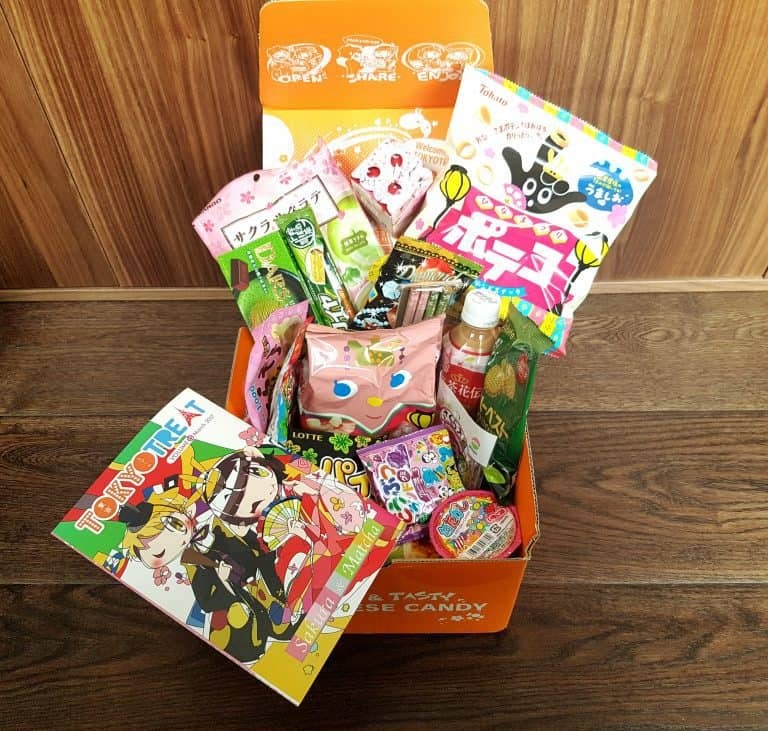 The bottom box contains little chocolates with a matcha cream filling. They are supposed to be dark chocolate, but the chocolate is actually very sweet, though this is offset a little by the very slightly bitter filling. Incidentally, Matcha is a type of green tea, very finely ground and powdered, and it’s used in Chinese and Japanese tea ceremonies. I really like the taste, it is a little sour/bitter, and goes surprisingly well with chocolate. More Matcha: a wafer bar, chocolate covered with the Matcha creme centre. Again, pretty sweet but crunchy and delicious. In the middle are two lovely pairs of chopsticks (the ‘item’ in the Premium box). The green and pink colours are beautiful, and theme-appropriate, and the tips are grooved to help with gripping slippery things. At this point I must admit that I’m utterly crap with chopsticks. But they are very attractive and we’ll be keeping and enjoying them. They’re a very nice bonus item. 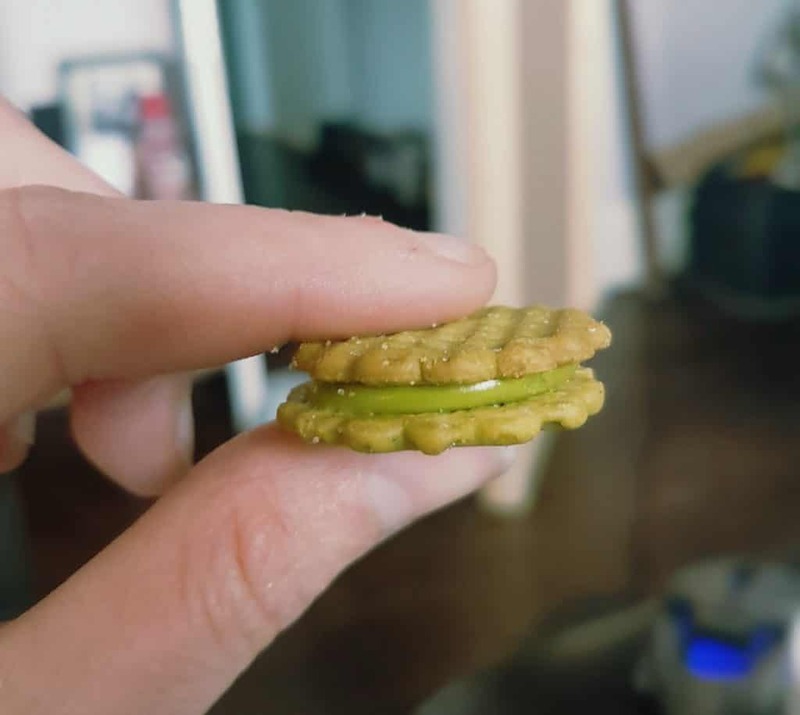 The little sandwich cookies (below) are awesome. They went very well with my afternoon cup of tea! The little pot is cotton candy. We are actually a family that does not like cotton candy, but I’m sure it will find a happy home. I’m also impressed that it seems to be totally intact in its little pot, as I always thought it melted away in moments. The miracle of modern packaging. In the little bag are grape flavoured animal gummies. Very kawaii. The bigger pink bag is sakura mochi. Mochi is a traditional Japanese snack of a pink rice cake with sweet red bean paste in the middle, wrapped in a pickled cherry blossom leaf. It tastes a lot better than it sounds! More Sakura. 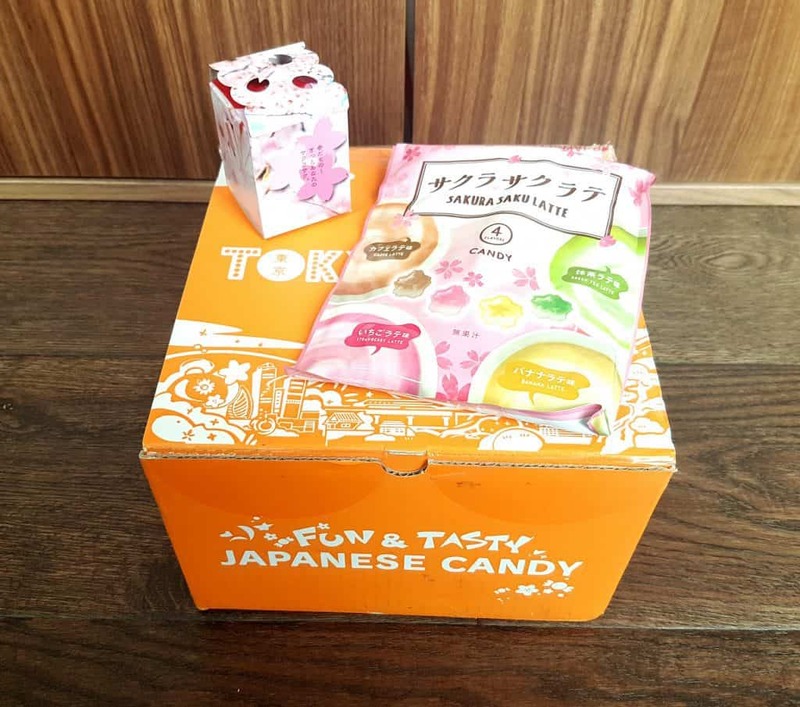 The candy in the bag is cherry-blossom shaped and flavoured with various lattes. 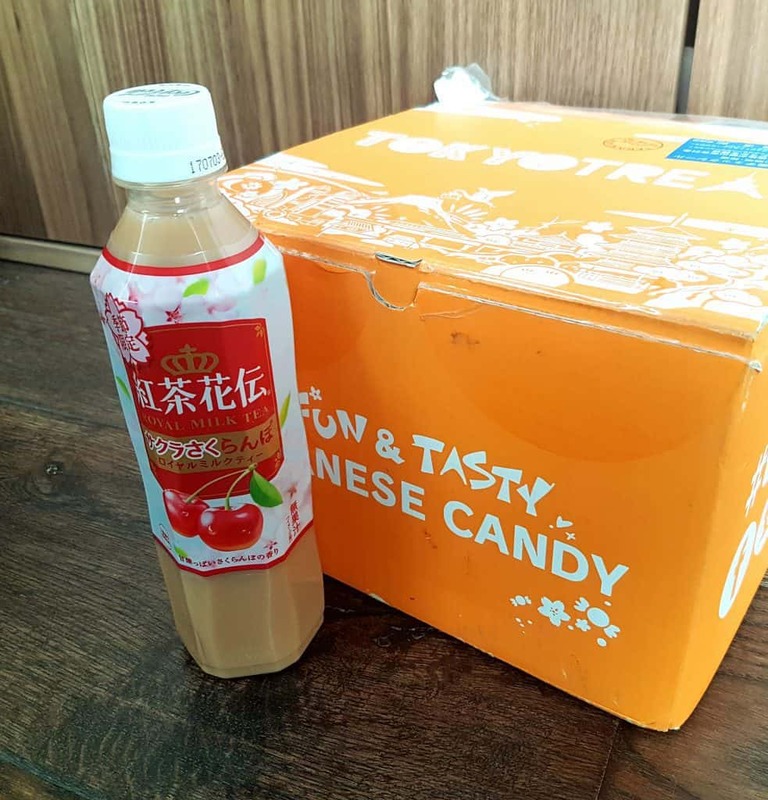 It sounds strange, and it kind of is, but it’s totally outside the flavour experience of regular sweets and it’s good to try stuff outside your comfort zone! The little box is so beautifully packaged I can’t bear to open it yet. 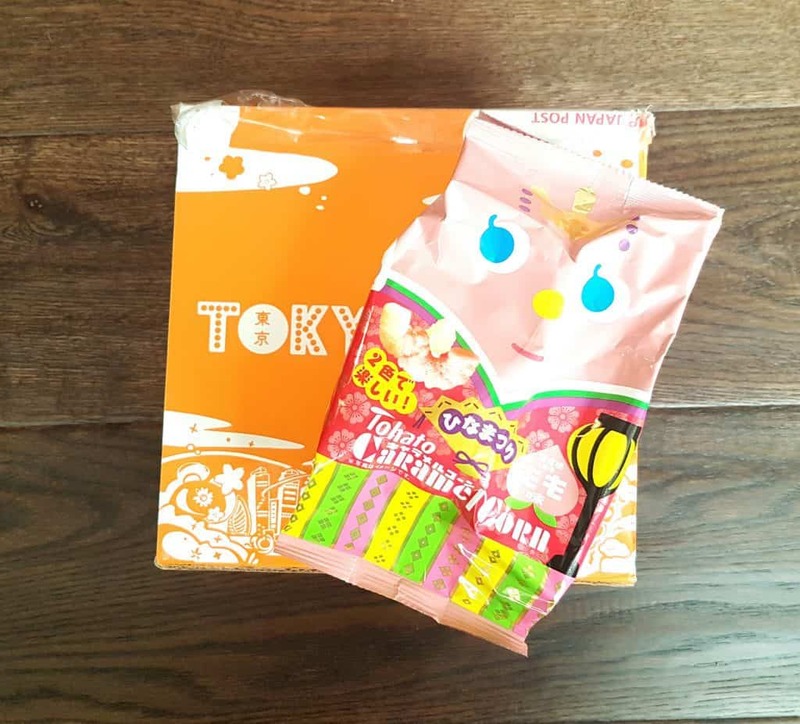 However according to the menu it’s sakura-flavoured Konpeito Candy, which is a traditional kind of Japanese sugar candy. Lots of fun kawaii stuff here. 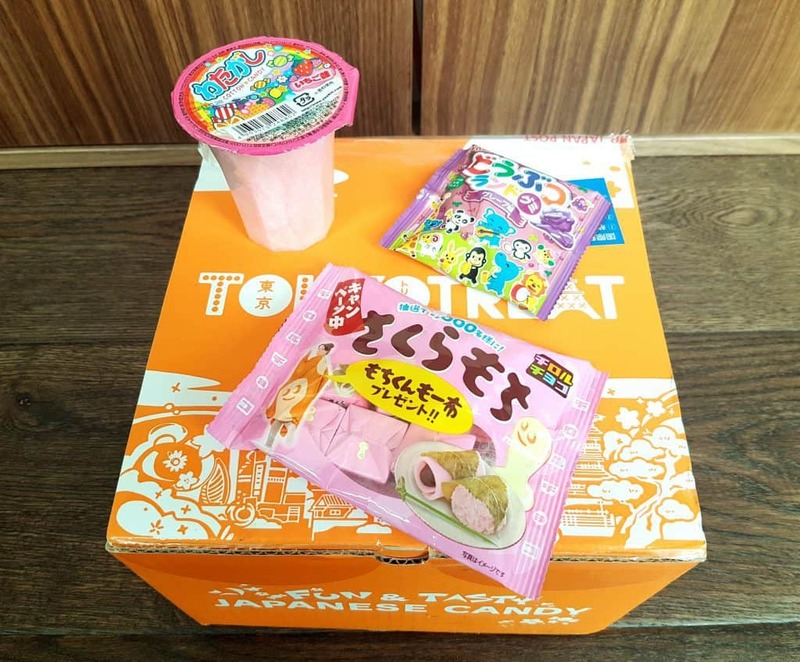 On the left is the DIY candy kit, which comes with sachets of soft candy plus animal-shaped moulds. I’ve not opened this yet, but I’m sure my daughter will be eager to try it out this weekend! On the left is a candy ring, which is basically a Japanese version of the Ring Pop I’ve seen in every candy store in the UK. The top item is pretty interesting. It’s Pickled Sakura Daikon, which is crunchy radish slices in a sweet-sour brine. I must confess I’ve not been brave enough to try them yet, though I do love both radishes and pickled things. I think I need to man up and eat them. They are also a very pretty colour. Finally, the drink. This is Sakura Sakuranbo Royal Milk Tea, and believe it or not, it’s made by Coca-Cola. Milk tea is exactly what you would think it is, cold sweetened white tea. This version is a seasonal edition flavoured with, unsurprisingly, cherry. I have to say that I like my tea hot and in a mug, so I was rather apprehensive about this, but it is actually nice. I can’t really taste anything particularly tea-like, but it tastes like creamy thin cherry milkshake with the tiniest bitter edge. Really rather delicious. So that’s the lot. A magnificent selection of goodies. Here are my thoughts. First of all, the value. Now, I’m not going to spend ages looking up each individual item to find out how much each individual item would cost in the UK. 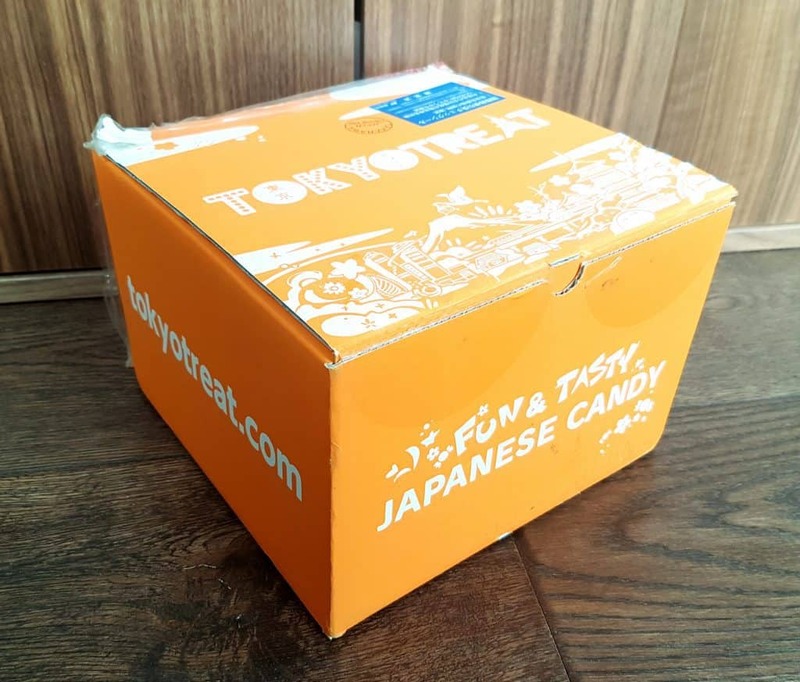 It’s likely that it would be nigh-on impossible to find some of them here anyway, and TokyoTreat like to include limited-editional and seasonal items, which are even less likely to be easily available over here. What I will say is that I personally think that less than thirty quid is a good price for this array of snacks. I think it’s great they have a theme, and they’ve created a great balance of themed items and regular snacks. The variety is impressive, with lots of different textures and flavours. 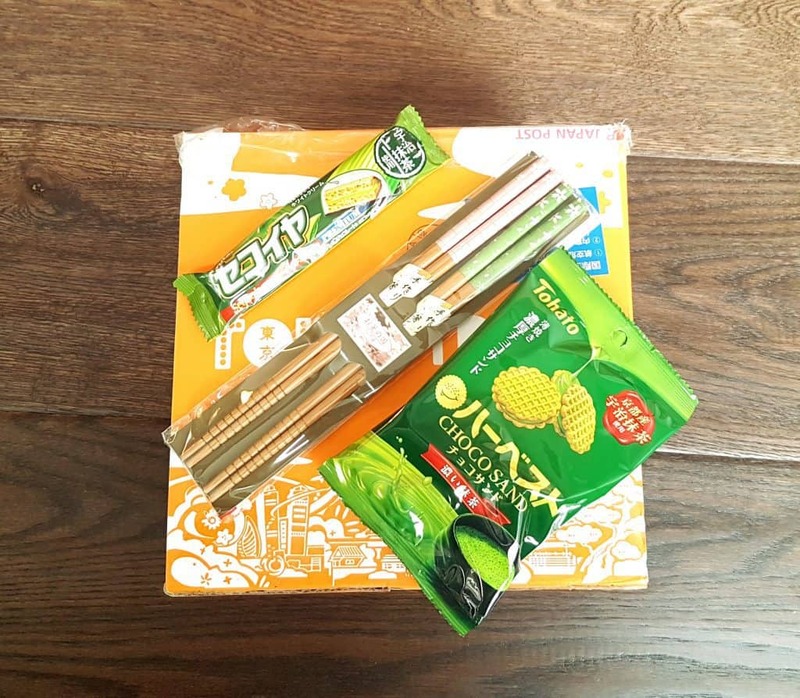 It’s great to include savoury items as well as sweet, and the chopsticks are a lovely addition. 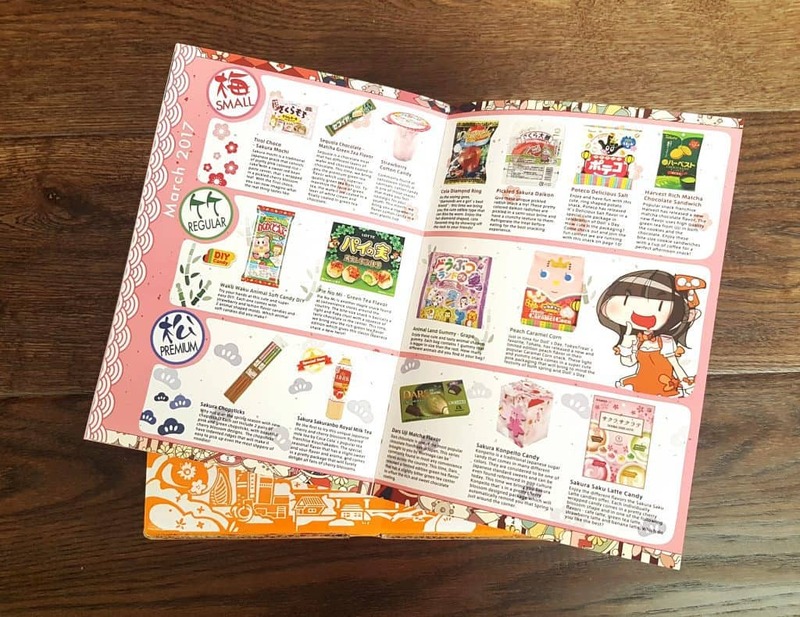 The magazine menu is incredibly well-thought-out; I’m impressed that they would think to include information about the culture and festivals around the themes, especially as snacks/candy is not something that would be thought of as having serious cultural connotations. As a small thing, their box-packers are amazing. It’s incredible how much they managed to fit in! 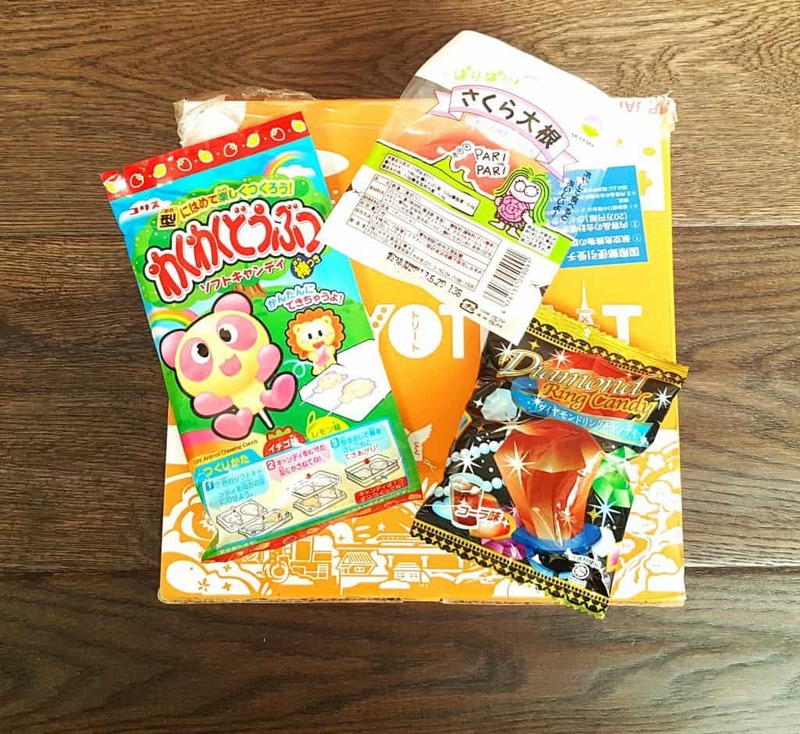 One of the most appealing things about Japanese snacks is the packaging. 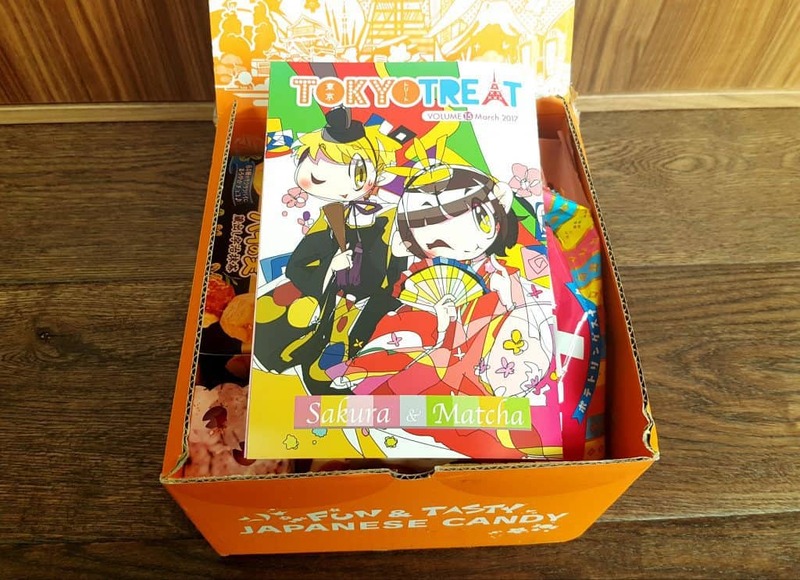 It’s so brightly coloured, with lots of crazy themes and kawaii characters, and there is some really beautiful design as well, such as the box of Konpieto candy. As well as being deliciously different, it’s a treat for the eyes. This box is awesome. 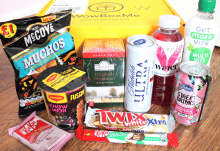 Great range, lots of new flavours and taste experiences, and it looks wonderful too!